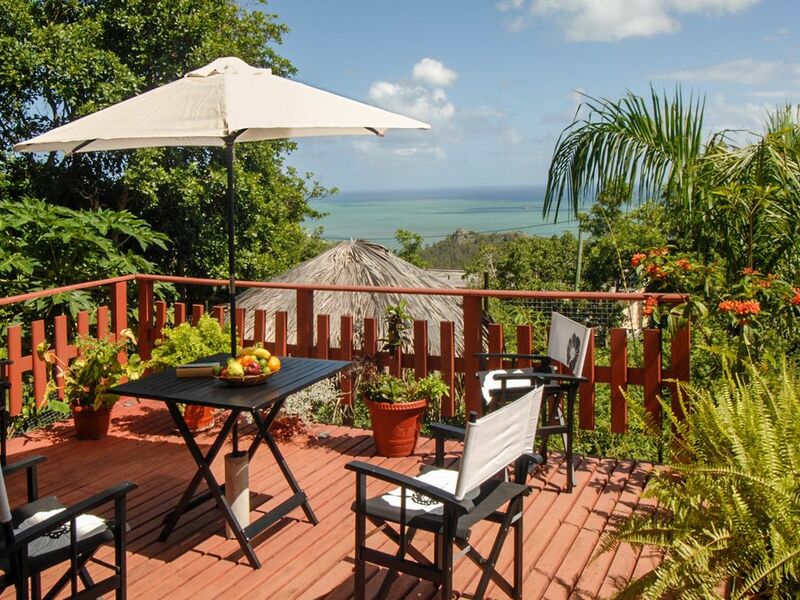 This villa, located in Rodrigues, is ideal for 6 vacationers. It offers 3 bedrooms, a furnished garden, a terrace and WiFi. The lounge is perfect for unwinding after a day of exploration. Curl up on the comfortable sofa and enjoy a good book or take advantage of the amenities on offer, including a TV, WiFi and a DVD player. The kitchen is well-equipped for cooking up your favorite meals. Enjoy your feast around the dining table which seats 6 or outside, on the balcony, on the terrace or in the garden. The villa has 3 comfortable bedrooms, 1 including, 1 including 2 single beds and a private bathroom with a shower and toilet and 1 including a double bed and a private bathroom with a shower and toilet. The bathroom is fitted with a shower and a toilet. The villa features a fan, mosquito nets, a washing machine and ironing equipment. La maison est conforme au descriptif. La vue est magnifique. L'accueil de Sylvia, chaleureux, mais succinct. Nous avons apprécié le beurre et la confiture à l'arrivée ainsi que la livraison du pain tous les matins. Nous avons cependant regretté l'absence du lave-linge, la présence d'une cafetière inutilisable faute de recharge sur l'île, et le frigo qui gèle tout même au minimum ! This villa enjoys a privileged location that will allow you to enjoy your stay in the area. Many activities await you in the surroundings, such as Fishing, Hiking, Swimming and Water sports.